He's starred in a Cannes Grand Prix-winning ad for Volvo and thrown outrageous dance moves for Coors Light. 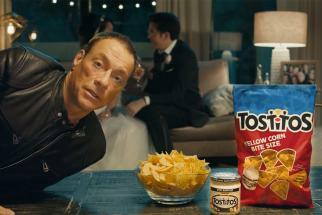 Now the "Muscles from Brussels" Jean-Claude Van Damme is back, in a campaign for Tostitos. 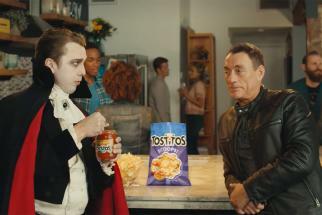 The premise of the new work, by Goodby Silverstein & Partners, is that if you don't bother to get together with your friends over a bag of chips, they might replace you with a new friend. Like Van Damme. In the TV ad, seen here, he goes from just hanging out with the friends at home to taking selfies with them, serenading them at beach barbecues, and even appearing at their wedding as both best man and bridesmaid. "You just got Van Dammed. Don't get Van Dammed," he says, ahead of the tagline: "Get Together Already." 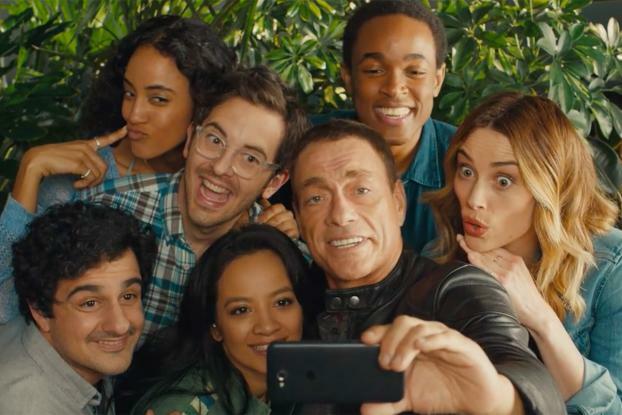 Van Damme also appears in a series of shorter digital clips talking delivering humorous quips around the subject of friendship. More work will roll out throughout the year. 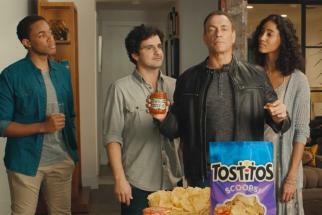 It follows Tostitos' Super Bowl spot, featuring "The Fresh Prince of Bel Air" star Alfonso Riviera, where Tostitos gave hosts a personalized Super Bowl ad that they could use to advertise their Super Bowl party.